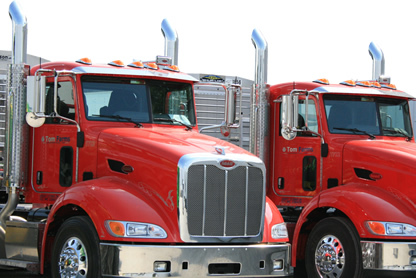 The transportation division of Tom Farms is an ICC authorized carrier and broker of freight nationwide. We offer equipment from our own fleet that meets about any need but also offer an expanding fleet of external carriers, and brokered carriers as well. We realize our strength is in putting our drivers and customers first. We know that most anyone can own the equipment, but it takes quality people with disciplined procedures to deliver products and service in a timely, safe manner, and for affordable compensation.